Seven Laws of Health: (1) Food and fasting, (2) Cleanliness and dress, (3) Sun�shine and fresh air, (4) Exercise, (5) Sleep and rest, (6) Avoid bodily injury, (7) Build a positive mental attitude. Raise a garden.� Mail order seeds, herbs, plants: Nichol�s Garden Nursery, 1190 North Pacific Highway, Albany, OR 97321-4580, E-mail:nichols@pacificharbor.com, Phone: (541) 928-9280, mild giant-sized elephant garlic. Other mail order sources: Gurney�s Seed & Nursery Co., 110 Capital Street, Yankton, SD 57079; and Henry Field�s Seed & Nursery Co., 415 North Burnett, Shenandoah, IA 51602.� Seed Savers Exchange, 3076 North Winn Road, Decorah, IA 52101, phone: 319-382-5990. Echinacea and other herbs: Health Fitness USA, PO Box 814, Mt. Flora, FL 32756, E-mail: ForAnHerb@aol.com. Drink clean water: reverse osmosis and carbon filtration systems. Bake your own bread. Montana Hard Red Wheat, Deaf Smith County Texas Wheat, millet. We obtain our wheat from the Mormon bishop�s storehouse. For whole-grain rice delivered to you contact: Lundberg Family Farms, 5370 Church Street, PO Box 369, Richvale, CA 95974-0369, phone: 530- 882-4551, www.lundberg.com. Bread-Making Equipment: Bosch Grain Master Whisper Mill, Bosch Uni�versal Kitchen Machine: Nutrition Lifestyles, 2636 Shaw Rd, Gilmer, TX 75644, 903-797-6736, www.nutritionlifestyles.com. Prevention, health magazine 800-666-2503, or Prevention, PO Box 7319, Red Oak, IA 51591-0319, www.prevention.com. Prayer Lines: Rosy Halley collects data from people needing prayer, and broadcasts an E-mail list each Friday to prayer warriors. If you wish others to pray for you, E-mail rosyhalley@tyler.net, or write Rosy Halley, 4502 Skyline Drive, Chandler, TX 75758. Nutrition Action Health Letter, 1875 Con��nec�t�icut Ave., NW, Suite 300, Washing�ton, DC 20009-5728. Free packet of Garlic pearls for planting in your garden, from: Richard C. Nickels, 3316 Alberta Drive, Gillette, WY 82718. Christ the Healer, by F. F. Bosworth, 241 pages, free. Biblical Law, Which Old Testament Laws Are Applicable Today? 68 pp. $5 donation. Back to Eden: The Classic Guide to Herbal Medicine Natural Foods and Home Since 1939, by Jethro Kloss, Promise K. Moffet, 936 pp., $10. None of These Diseases: The Bible�s Health Secrets for the 21st Century, by S. I. McMillen, David E. Stern, 288 pp., $13. 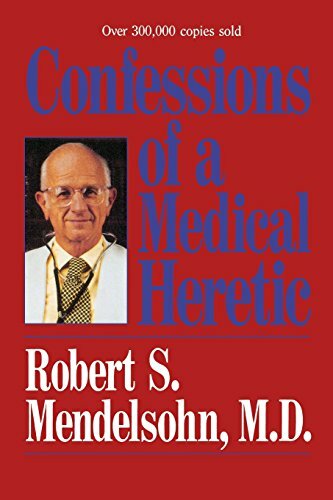 Confessions of a Medical Heretic, by Robert S. Mendelsohn,� $17. 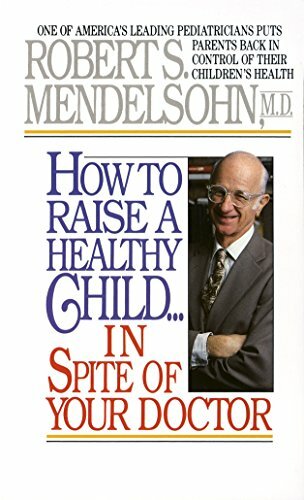 How to Raise a Healthy Child: In Spite of Your Doctor, by Robert S. Mendelsohn,� $6. Vaccines: Are They Really Safe and Effective? 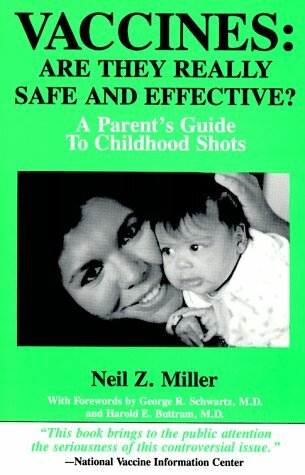 Parent�s Guide to Childhood Shots, by Neil Z. Miller, 79 pp. 9th edition, $9. What the Bible Says About Healthy Living, 284-pages, by Dr. Rex Russell, $9. The Healing Power of Garlic, by Paul Bergner, 208 pp., $16. The Wonderful World of Honey: A Sugar�less Cookbook, by Joe Parkhill,� $11. �The War Against Circumcision,� Study No. 176, free. Order above from Giving & Sharing, PO Box 100, Neck City, MO 64849 (please add 10% for postage, 20% International),or��order online at: www.giveshare.org/health/.